Just a tiny distance from the Eastern border of the Netherlands you will find the German village of Rheda-Wiedenbrück. A lovely town with a center brimming with traditional ‘fachwerk’ houses. Amongst the 47.000 villagers you will find the Schenk family business. 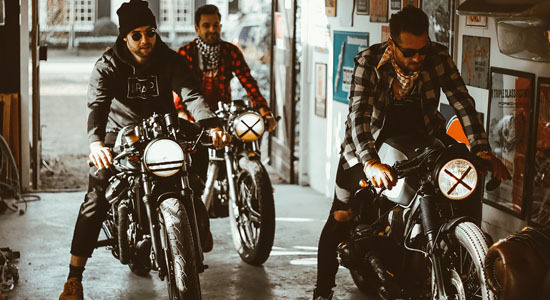 Headed by father Rainer (referred to as ‘Boss’) he and his two sons Chris and Yannick have turned their love for bikes into a (semi-)professional building team. All smitten with the biking virus they decided twelve years ago it was about time to make the switch from hobby to building bikes as a profession. And professionals they have become! 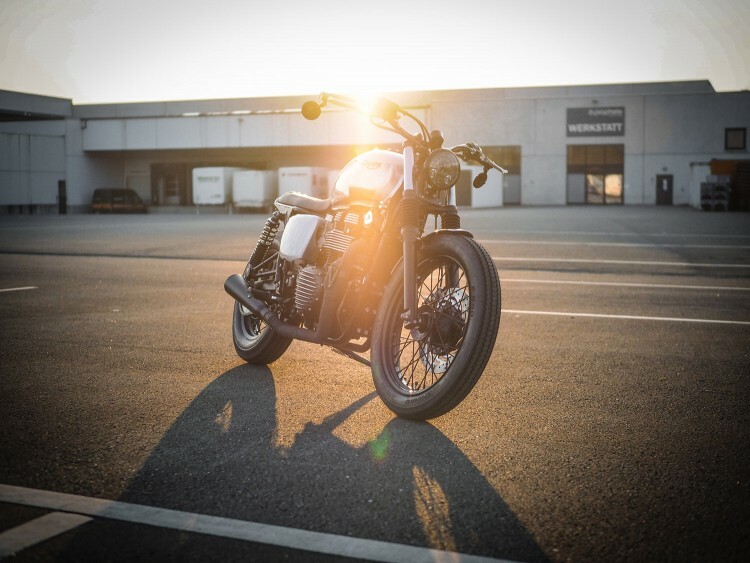 With the zest for quality which is so typical for Germans the Schenk family set out to manufacture bikes of high standard only. 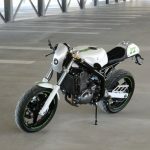 The objective is to design and build bikes which are street legal in Germany. Now that’s an interesting point. 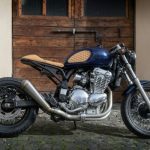 As customizing aficionados many of us start building or modifying bikes with just one thing in mind, building the bike of your imagination and more often than not crossing borders of local legislation. Not for the Raisch gang. Everything they build or mount on a bike is TÜV compliant (arguably Germany’s toughest quality certificate for producers to attain). Well, nearly then. The mirrors on the bike in this article do not have this certification. But who really cares? 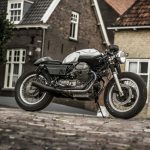 From the discussion we had with Yannick it became clear to us that building a 100% street legal bike in Germany is not that easy. 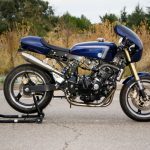 Thus challenging builders and modifiers in this country to make choices between building their dream bike or producing a financial nightmare for the owner or rider. They seem to have a hard time choosing and only go for the best of both worlds from either side of the North Sea. Their love is clearly spread between the Bavarian brews and the Albion icons. The love may tear between the two brands, their passion fills any gap that may exist. Just like the daily devilish choices they make on bikes the Germans seem to have an equal problem choosing their favorite pastime. 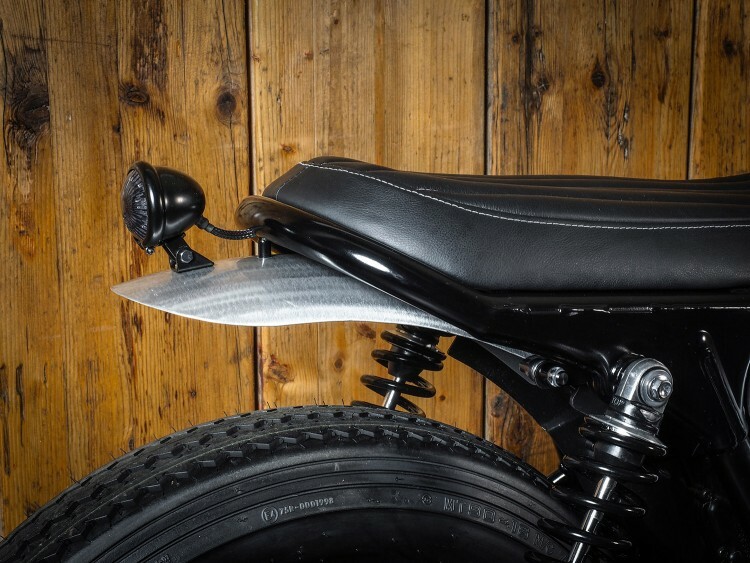 When asked to make a choice between riding or spannering, they reply “both” in unison. The name absolutely does justice to this creation. 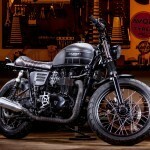 The Raisch crew have again managed to rebuild a modern retro Triumph Bonneville into a bike with a true vintage feel to it. Sometimes people say the Germans don’t have a sense of humor. I disagree. Asking the guys why they decided to build this bike their dry response was: “because it is our business. We can’t ride in the winter, so we may as well build bikes.” As mentioned at the start of this article, the father and sons only build bikes which are fully ‘TÜV compliant’. Almost without saying, this goes for the ‘Vintage Cruiser’ too. I love the way this bike came out. 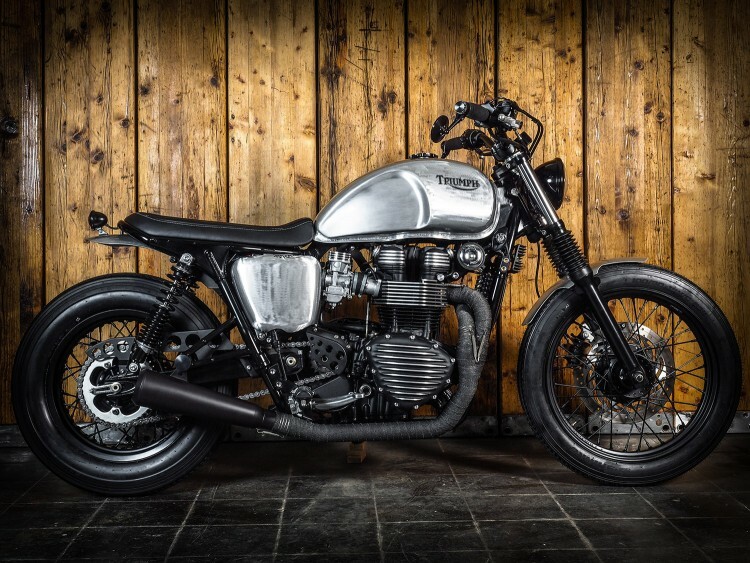 They have turned a very neat and decent Bonneville into a bike with a ‘bite’. Nice rough edges to it and we agree with Yannick that the rear is nice to look at too. 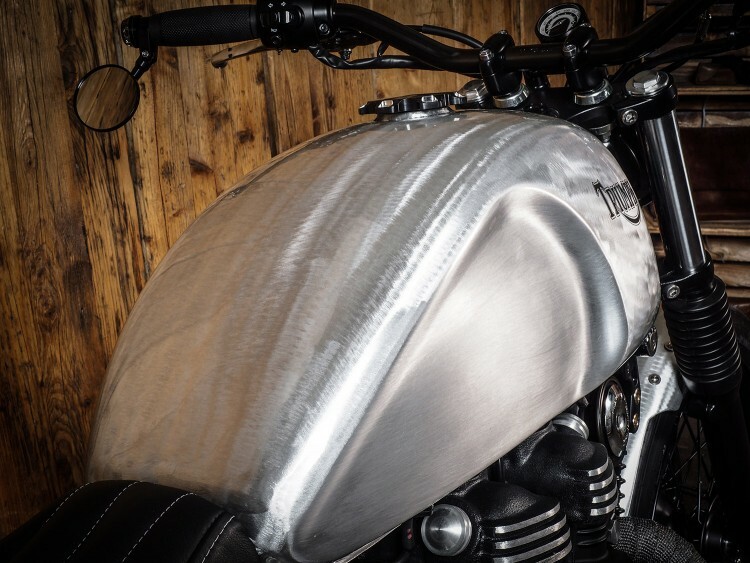 Personally, I would not have chosen the ribbed covers used on this Triumph. There is a lot of details going on, but hey, that’s just my personal opinion and let’s not forget beauty is in the eye of the beholder. For sure it makes the bike look dramatically different. This cruiser was built with the intention of living up to its name. Leisurely riding along the Nordrhein-Westfalen backroads is more what this baby is meant for than speeding on the Autobahn. 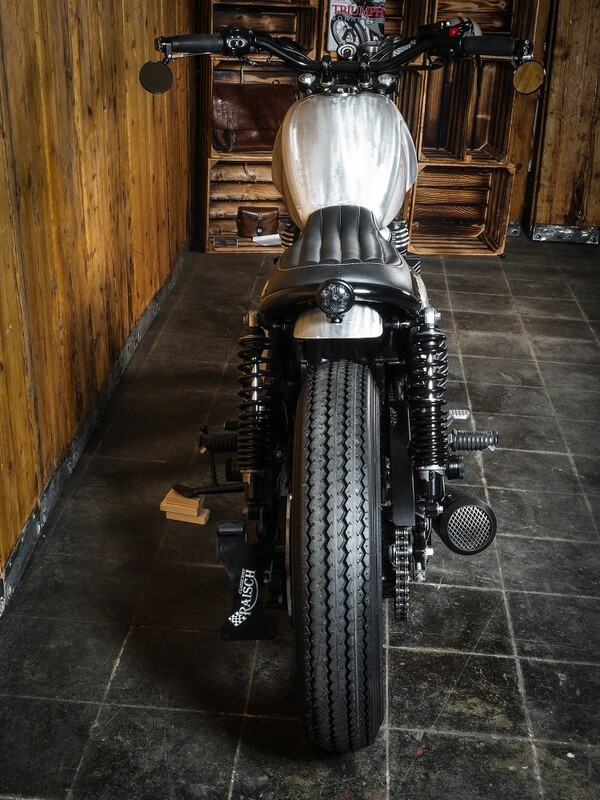 Check out the vintage tires which are a great addition to the overall look of the build. Completely in synch is the best way to describe it. Whatever could be produced in-house was manufactured in their own workshop. 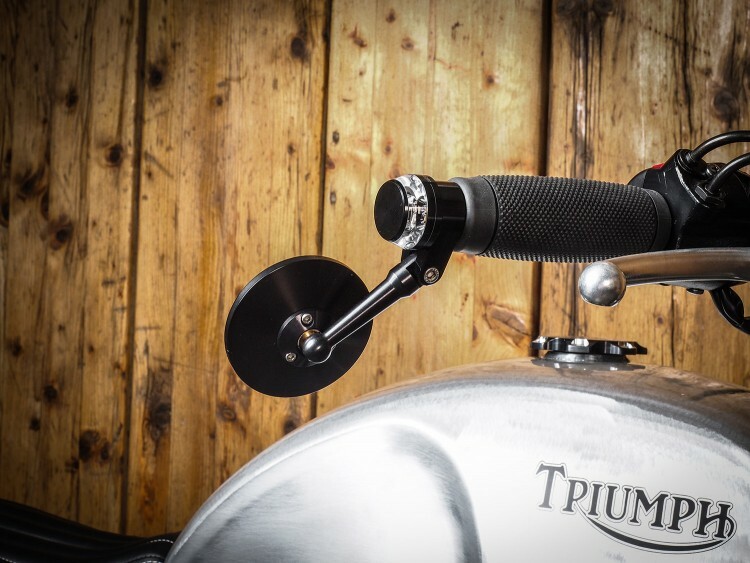 When you give the Triumph a good close look, the craftsmanship of this gang surfaces. The beautifully curved subframe being a perfect example, enhanced with the wires of the rear light neatly tucked away in the tube. The backside of this girl may be nice, but she’s got a pretty front too. Nice and clean. Nothing more than the stuff you need to ride. “Only a speedometer will do just fine, thank you”. The ignition moved to the right too, just underneath the tank. Good choice. The powder coated black rims are true vintage style with those black spokes. Love the minimal front fender. Nearly stroking the front wheel and hardly there. Exquisite. The shape of the handlebars is reminiscent of those used on Meriden Bonnies in the sixties. The headlight is small and center mounted, further cleaning up the front. It is cool to see all of those lovingly produced bikes all over the world. 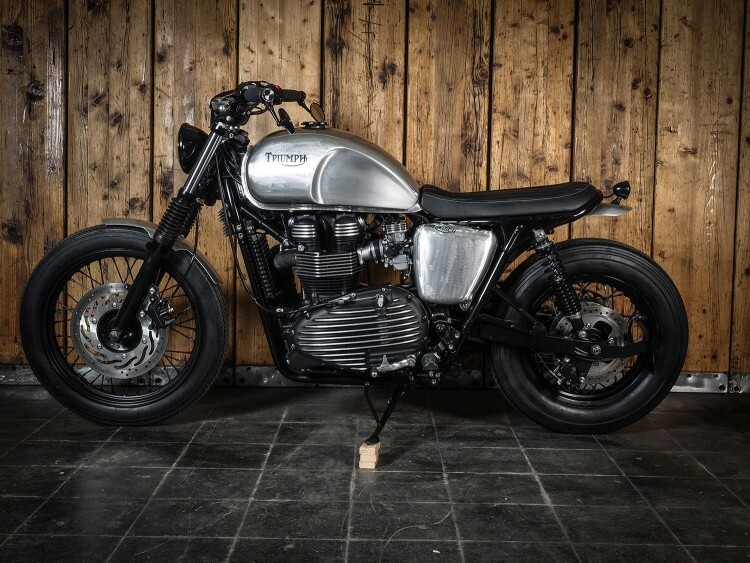 Take a Triumph Bonneville and let a builder do his thing. The outcome could not be more different all across the Globe. Good to see that just across the border good taste and perfection go hand in hand. Would love to take the ‘Vintage Cruiser’ out for a relaxed spin. Great work guys! Little 5 ¾ “ central mount head light with J.W Speaker LED light. 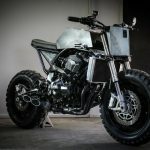 BikeBrewers.com and Bonnefication have decided to simultaneously publish their individual views on this Classic-bike Raisch build. Get the different perspective (and other pictures). We are not about competing who is best, we just share our passion for custom bikes with readers worldwide! Spread the love! Yet again, another riveting article. Nice job.